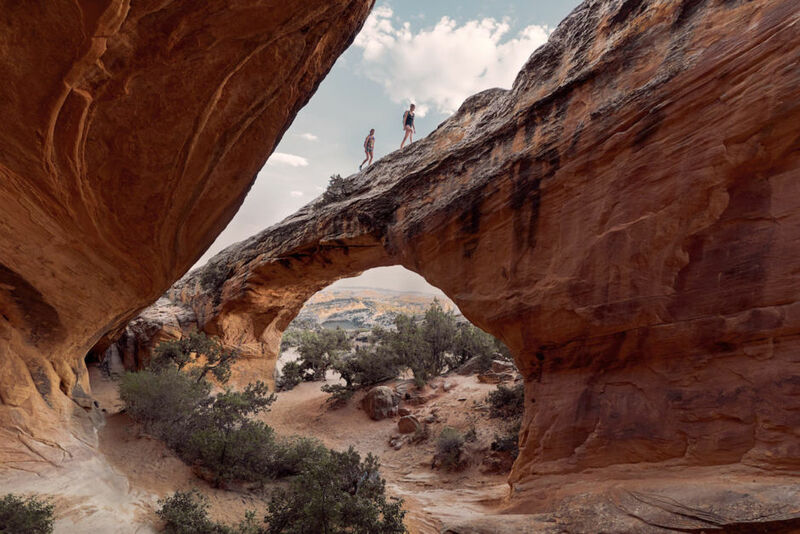 It’s no secret that Utah is an outdoor lover’s paradise. Thousands of people come to experience the Big Five national parks, hunkering down in Moab to see the red rocks or outside of Zion to hike Angel’s Landing. In the summer, these parks and their surrounding towns are packed with tourists, who are all paying peak prices for accommodation. If you want to avoid the crowds and experience some of the most underrated land Utah has to offer, though, you need to head to Vernal. Located in the northeastern corner of the state, Vernal has traditionally been associated with dinosaur fossils more than adventure. But the area is emerging as a hotspot for all your favorite outdoor activities: hiking, biking, paddling, and climbing. It won’t be long before the outdoor community starts mentioning Vernal in the same breath as Moab as a burgeoning adventure capital. 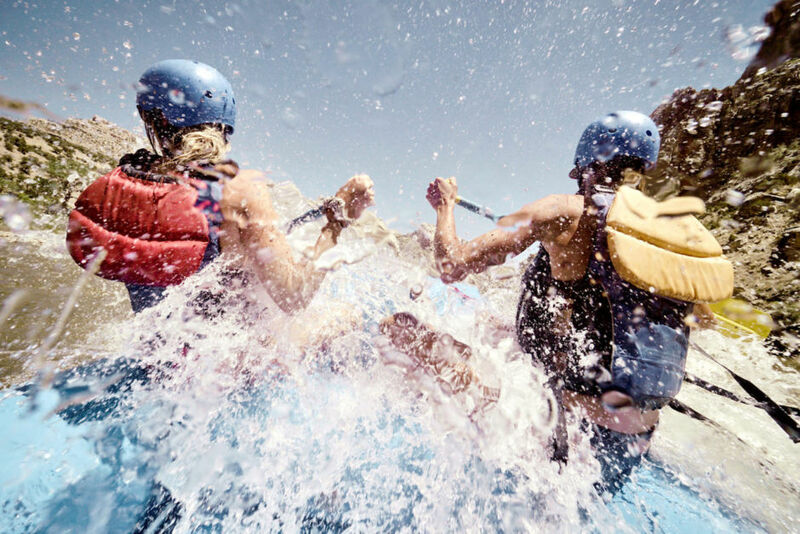 Here are seven epic outdoor experiences you can have in Vernal. 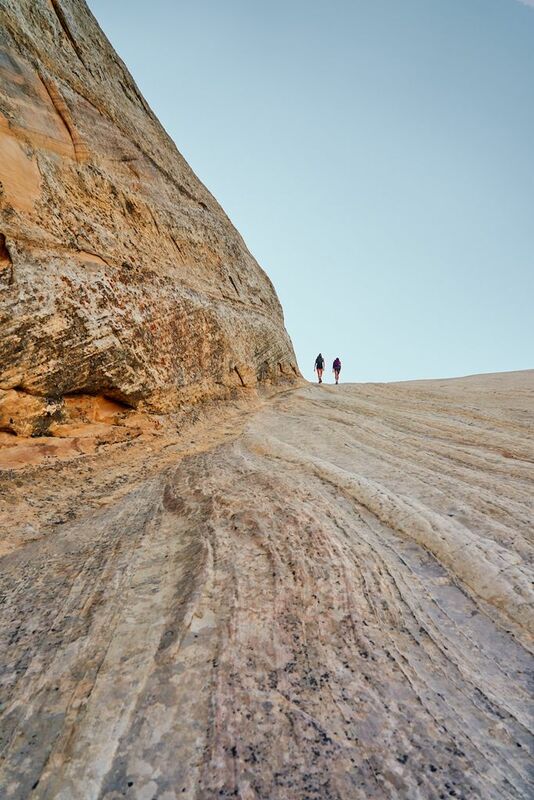 Not far from Vernal is a three-mile hike through huge sandstone domes and slickrock spines stretching off to the horizon. 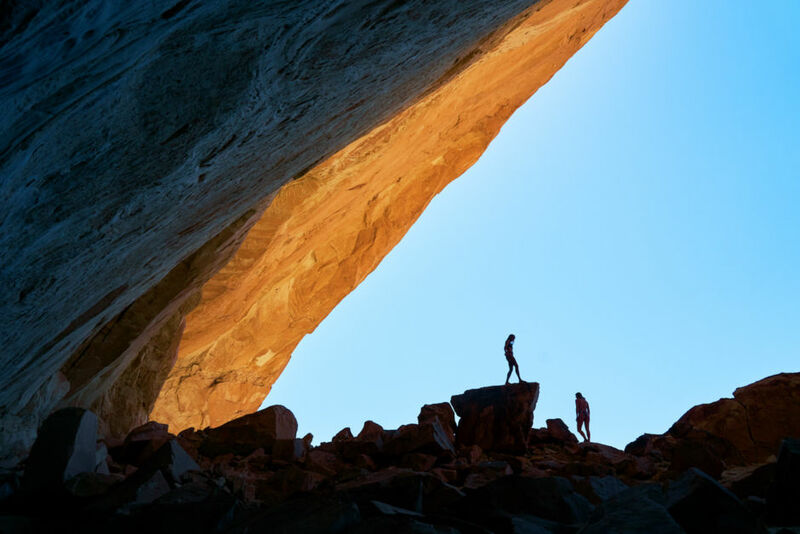 The groovily-named Moonshine Arch is an impressive highlight feature, but the hike along the way is consistently rewarding. Afterward, reward your efforts by stopping by the Vernal Brewing Company beforehand and talking to the owner, Ginger. She owns land up there and has some incredible stories about the history of the place, as well as why it’s called Moonshine Arch. Also, have a pint of the Allosaurus Ale for me. Dinosaur National Monument is probably Vernal’s most famous feature though it’s more often attributed to Colorado than it is to Utah. It gets its name from the old layers of earth that come to the surface here and bring with them fossils of creatures that roamed the earth hundreds of millions of years ago. According to the locals, if you know what you’re looking for you can casually go out and spot dinosaur bones just laying around in the hills just outside of town. But don’t be so consumed looking for bones that you forget to look up at the crazy landscape around you. We chartered a rafting trip with Adrift Rafting on the Green River through one of the canyons here so that we could get an up-close look at the sandstone walls. There isn’t really another way that we could enter this canyon, and rafting offers a cool mist on a hot day, as well as great vantage points. 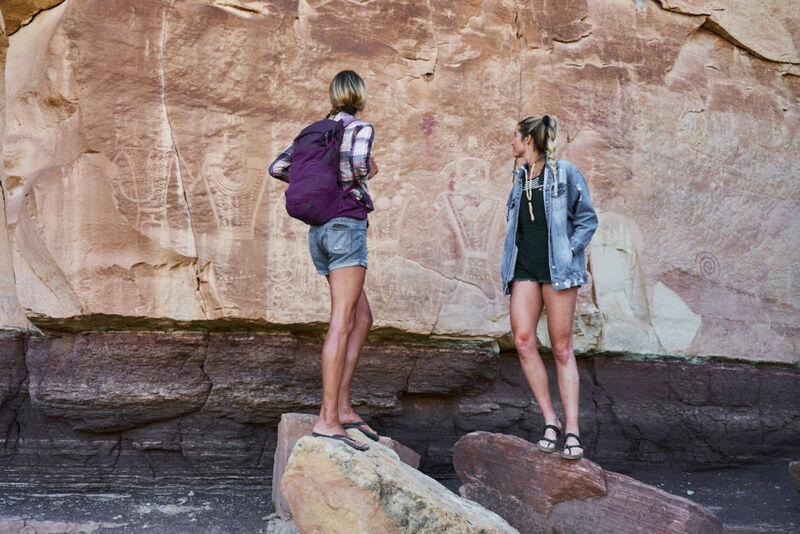 Visit the McConkie Ranch Petroglyphs. The cliff walls of McConkie Ranch are lined with stories that I only wish I knew how to interpret. The Freemont tribe, which created the petroglyphs, didn’t have a written language, and the meanings behind these symbols have largely been lost. Taking a tour with Dinosaur River Expeditions around the ranch will give you context for everything that is known about the art and the people who created it. After seeing the rock art, we started to notice petroglyphs all over the Vernal area on just about every hike where there was rock (so, almost every hike in the area). There aren’t many super well-known climbs in Vernal, so you don’t have to worry about traffic on the rocks like you might in Moab. We went to one of the densest collections of existing climbs near Vernal called the Western Battleship Formation. There were some really fun, short climbs with new hardware that averaged around 5.8 to 5.10 in climbing terms (pretty easy). The most exciting part for me, though, was that from that vantage point I could look out across the desert and see an infinite number of potentially untapped areas for climbing. I aim to come back here and hike into this area, hopefully to get some first ascents that I can be proud of. Paddleboard or kayak at Red Fleet State Park. Red Fleet State Park is located fewer than two miles away from Western Battleship Formation. 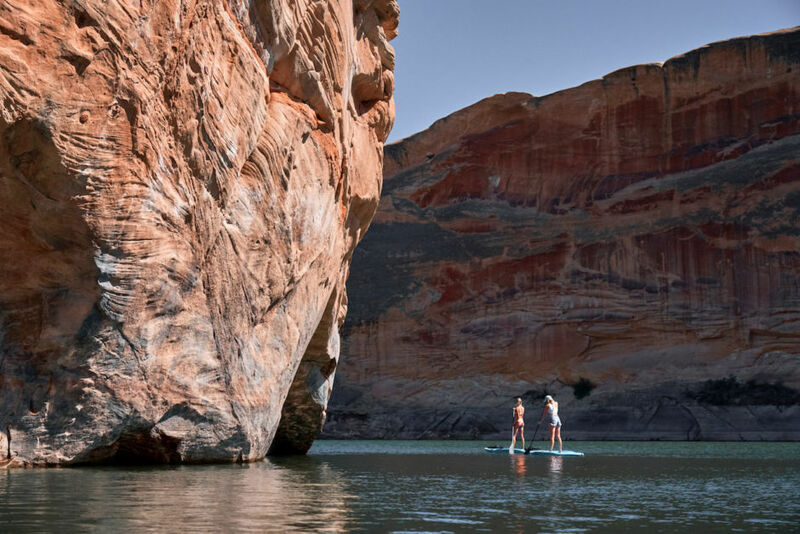 If it’s a scorcher out, you can rent paddleboards or kayaks and paddle off into the canyon with sandstone walls towering overhead. It’s a totally different vibe than the rapids in Dinosaur National Monument: The water was calm and warm, and we got to go nice and slow. As an added bonus, we finished up by following some dinosaur tracks that hardened into the sandstone millions of years ago and can now be found just across the lake from the boat ramp. It’s strangely exhilarating to place a hand in one of these tracks and picture the animal that made it. Hide out in the Outlaw. Fittingly called the Outlaw, this cave was supposedly used by Butch Cassidy and his gang as a hideout. We’d heard stories from the locals back in Vernal about Butch and his wild on-again-off-again girlfriend Josie Bassett. Josie was one of the few women who hung around the Wild Bunch. She ran a successful ranch, sold moonshine, and married five times before settling in Vernal. She only passed away in the 1960s at age 90. Hearing those stories told by enthusiastic locals makes visiting the cave all the more fascinating. Ditch the itinerary and hike the vast BLM land. There’s so much protected BLM land in Utah that isn’t given state or national park designations but is just as wildly beautiful as the highly visited big parks. Some of my favorite locations were the ones that weren’t written about in local guides, and that I didn’t find when researching the area online. I found them just by driving around, spotting something, and hiking over. It’s freeing to put down the map, get out of the car, and just explore some truly wild country.